Onto the Eagle Mountain, highest point in Minnesota! We shed a layer or two after hiking from the trail head. Note the tread on Eagle Mtn. Trail - wide and worn down. 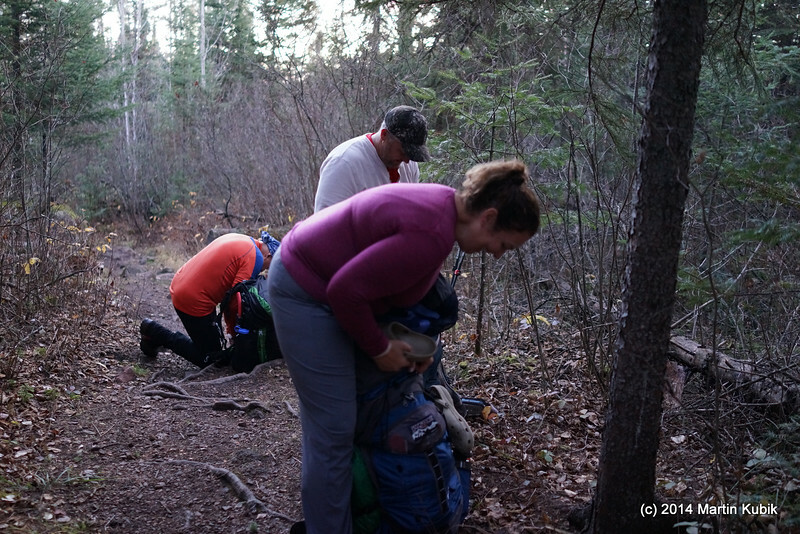 Compare this to Brule Lake Trail.